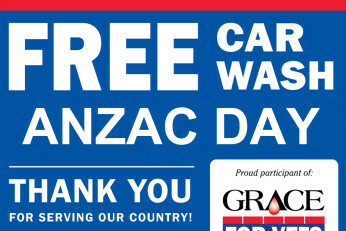 Grace for Vets – Free Carwash for War Veterans & Service Personnel this ANZAC Day! As an avid Australian Car Wash Association member and supporter, Luxe Car Wash is honoured to recognise and thank those people who go to war zones to protect Australia’s values and security by providing a FREE Car Wash to all veterans and service personnel in our local area this Anzac Day. Many people choose to wash their cars at home, believing that it’s greener, cheaper, or faster than using a carwash. 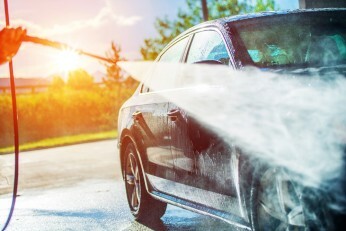 If you’re one of them, you might be surprised to learn that none of these things are consistently true—and there are even more reasons why you should swap to using a professional car wash next time you want to bring your pride and joy back to beautiful. The importance of keeping you car clean is more than just aesthetic reasons – it can also prevent premature damage to your car. Regular car cleaning removes dirt and particles that settle into grooves or minor abrasions on the car’s surface.